With games starting in just a few weeks, we’re tipping off our 2018-19 Big 12 coverage by going around the league team-by-team. Be sure to check in throughout the season and follow Big 12 correspondent Brian Goodman on Twitter @BSGoodman. Let’s begin with the Oklahoma schools. 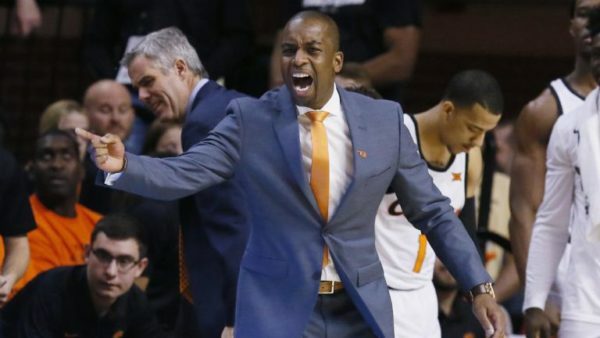 Mike Boynton turned in a surprisingly strong debut season in 2017-18, leading the Cowboys to 21 wins that were highlighted by a regular season sweep of Kansas, a win over West Virginia in Morgantown, and a victory over an excellent Texas Tech team. The work for Boynton truly begins this year, though, as he looks to rebuild a squad that lost its best players as well as the majority of its complementary pieces. What’s Trending: Send It In, Jerome! The Butler program experienced tremendous heartache when Andrew Smith passed away a couple years ago. His legacy, however, lives on, and Matt Norlander of CBSSports.com wrote a brilliant piece on Project 44, change borne out of the tragedy of Smith’s passing. 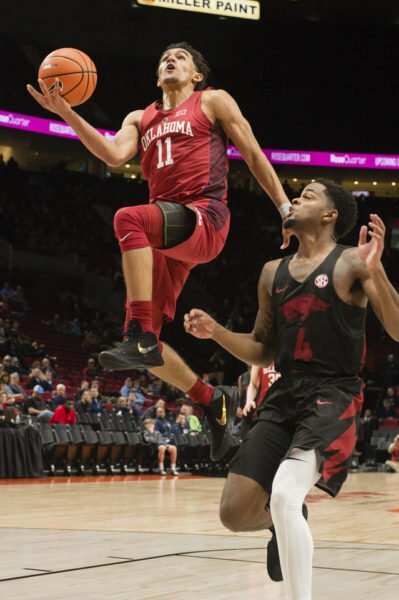 As the final horn sounded on Oklahoma’s 83-81 overtime loss to Oklahoma State on Saturday afternoon, the takes started flying nearly as frequently as Trae Young‘s three-pointers. The freshman phenom is too selfish. He doesn’t get his teammates involved. He turns the ball over too much. But as usually tends to be the case with instant reactions based on limited observation, most of the comments about the spectacular point guard were silly. While Young’s record-breaking afternoon — 48 points on 14-of-39 shooting and eight assists — wasn’t perfect, a closer inspection of the most common criticisms of his game renders them flat. 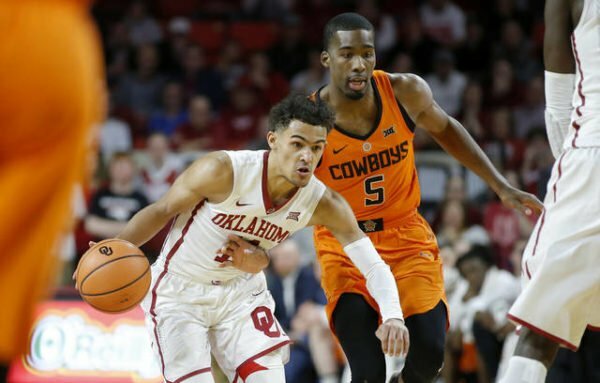 Trae Young drew more ire than he deserved following Oklahoma’s loss to Oklahoma State. Young clearly struggled to get in a groove in the first half as the Cowboys made a priority of containing him, but it was clear early that Brady Manek and Christian James, the freshman guard’s two most reliable supporting cast members, might not have it either. In allowing Oklahoma State to jump out to an early 25-6 lead, the pair struggled to shoot a combined 1-of-6 from distance and failed to attack the Cowboys’ closeouts to find better looks. As the Sooners went to work on a 12-point halftime deficit, Young realized that he was unlikely to get much more help. As a result, he did what most elite players do in that situation — he put on his blinders and tried to carry his team to a rivalry game victory. It nearly worked, as his offensive performance in the second half was flat-out remarkable. He gave the ball away just three times over the final 25 minutes (versus seven miscues in the first half) while scoring 34 points on 24 shots with a stellar 61.8 percent true shooting percentage, slightly above his season mark of 60.8 percent. By contrast, Young’s teammates shot a paltry 8-of-25 from the field after the break, and the takeaway was that Young should have been the one shooting less frequently?